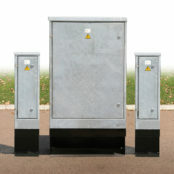 Lucy Zodion Slimline feeder pillars are manufactured from galvanised steel (with optional painted versions) for LV power distribution and control – these compact design pillars from the Fortress range are designed in a modular format with the feeder pillar cabinet width increasing in increments of 100mm or 150mm. 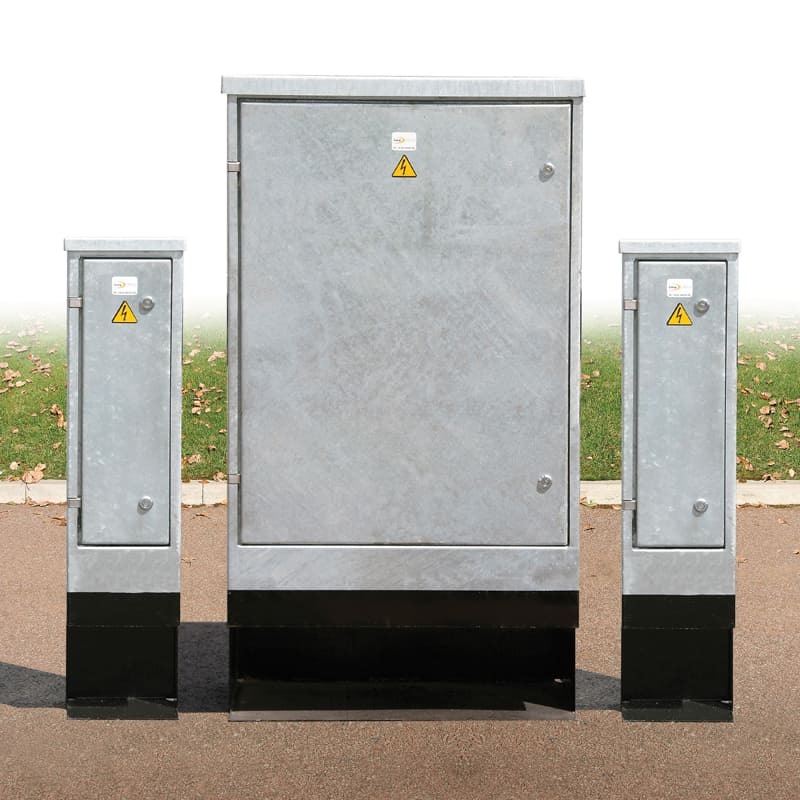 Slimline pillars are available in 6 sizes: the includes 250mm – 800mm widths with 3mm feeder pillar shell thickness, single door and stainless steel option. 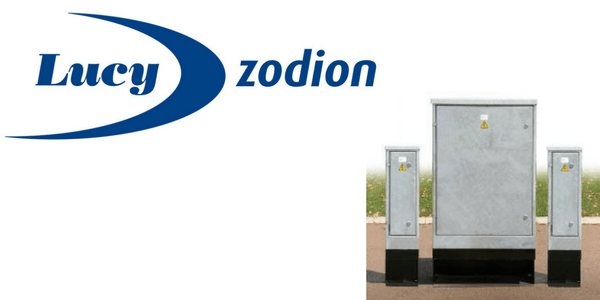 The ordering code for Lucy Zodion Slimline feeder pillars from the Fortress range is comprised of 4 sections. 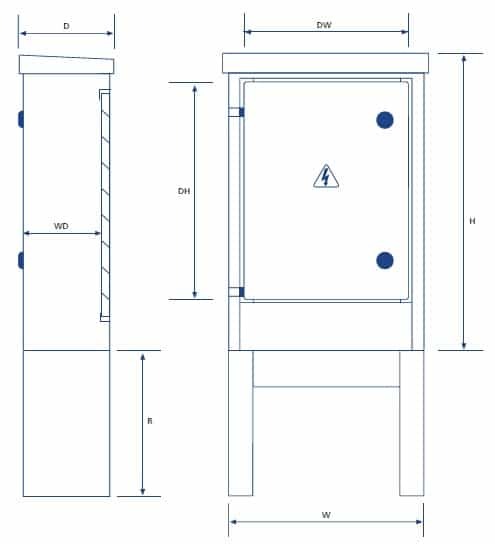 This is a Fortress range Slimline feeder pillar manufactured by Lucy Zodion – the material is hot dip galvanised steel, 3mm thickness, with yale lock, heater kit and lighting kit.